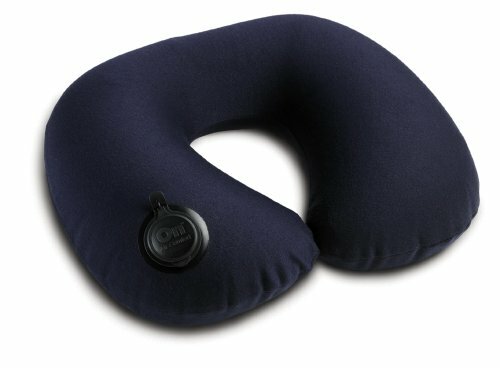 I never used to bring a neck pillow with me when I traveled because I considered them added bulk. Plus, I could never sleep on flights. Who wants more to carry? But, now that I travel much more, and often on extended flights, I always bring one. I also have mastered the art of sleeping on planes. Like a pro. Seriously, MarocBaba questions my ninja abilities to fall asleep but when you spend so many hours flying, it’s not so hard to do! He even captured this not so flattering picture of me in my “nest”. 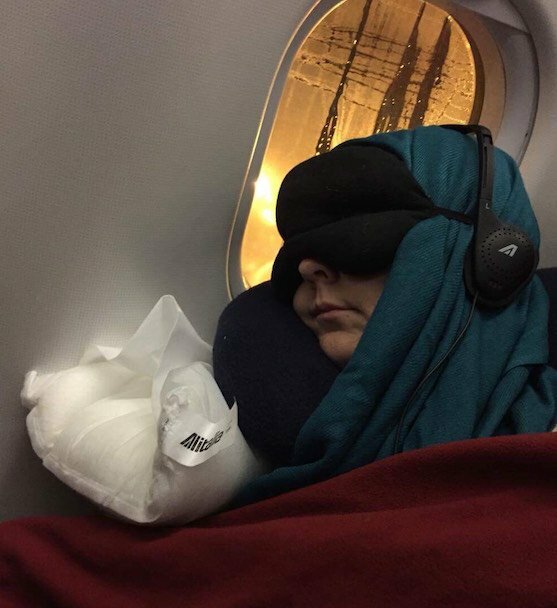 Sure, it’s not so flattering but you can see I’ve got my neck pillow, headphones, eyemask and blanket. I always get the window seat especially on overnight flights. Honestly, I am really comfortable this way and my neck pillow is what helps make it that way! 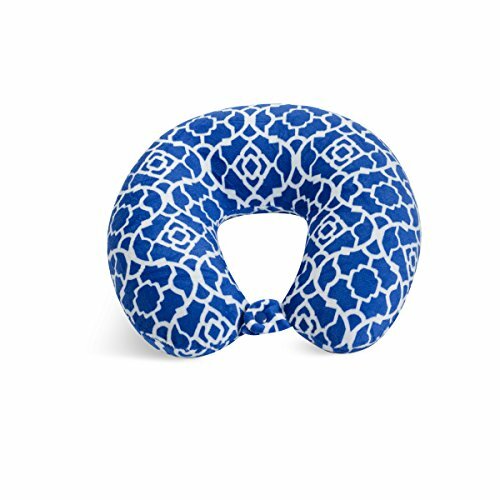 Here are nine different neck pillows for you to consider for your traveling needs. 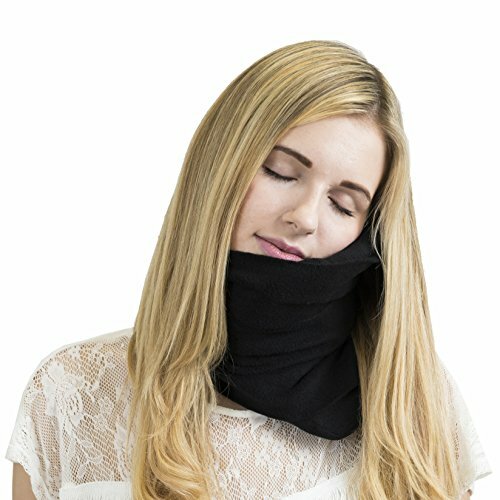 Trtl NapScarf – Scientifically Proven Neck Support, Multi Award Winning Travel Neck Pillow – BLACK For travelers who are also cold all the time, no more scarf needed – just pull this on. The best feature here is the touch valve that lets you adjust the softness. It inflates with just two breaths and you can throw it in the washing machine. I’m kind of wishing I had this one for the trips when my neck is really a mess. 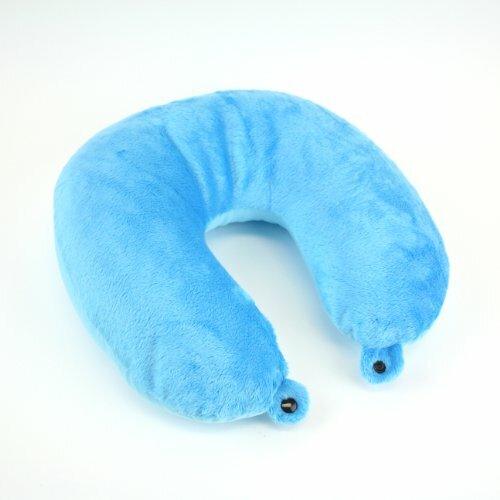 Pillow + massager in one. I am a huge memory foam fan – I have memory foam pillows and mattress toppers for all of our beds. So this neck pillow for flying fits right in. It shapes to your head and neck while still holding it’s shape. This pillow is filled with small beads that shape instead of a single filling or air. The fabric will make you want to cuddle right in. This pillow comes with all the bells and whistles. It has an inflatable air core and a removable machine washable cover. 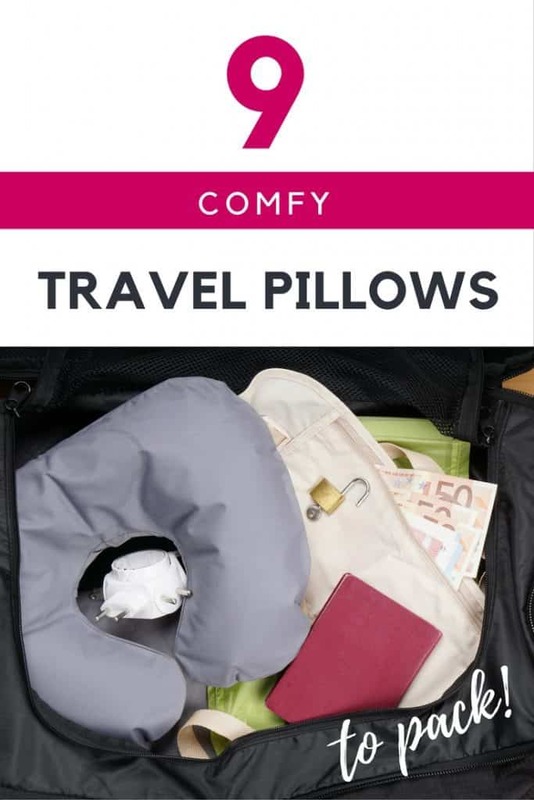 It uses an adjustable sliding front toggle to hold the pillow in place and has raised side supports. 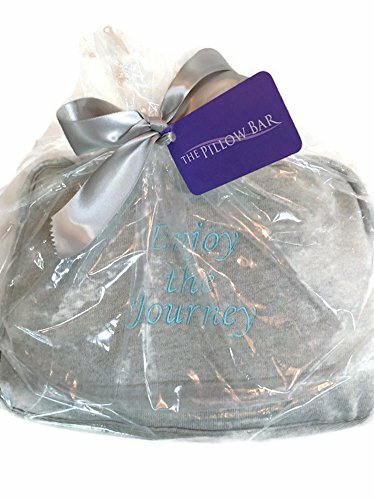 The pillow is designed with a flat rear cushion that won’t push your head forward and features a media pouch to hold your phone or MP3 player. Use it on a plane, for road trips, or even camping. 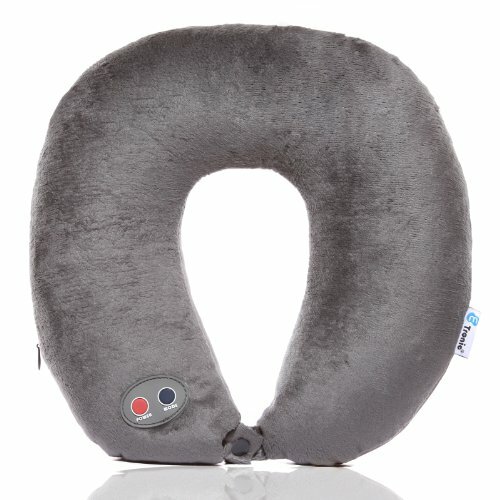 If you’re simply seeking a simple neck pillow that gets the job done with nothing additional, this pillow may be the one. 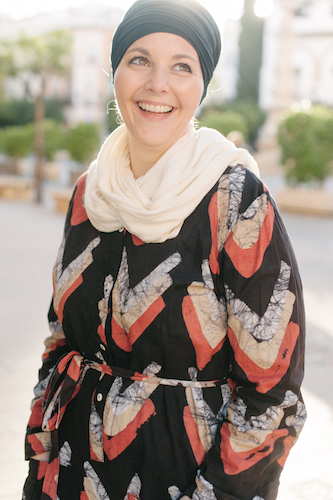 Choose from different patterns and designs. If you want to rock the same style I did then you need all the pieces! 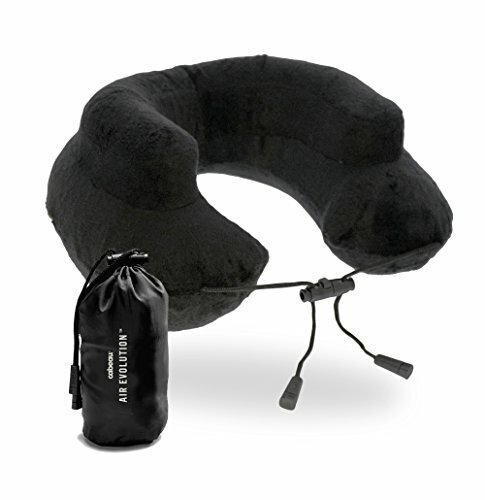 This memory foam neck pillow also comes with a satin eye mask and ear plugs – all the components you need to get some sleep! 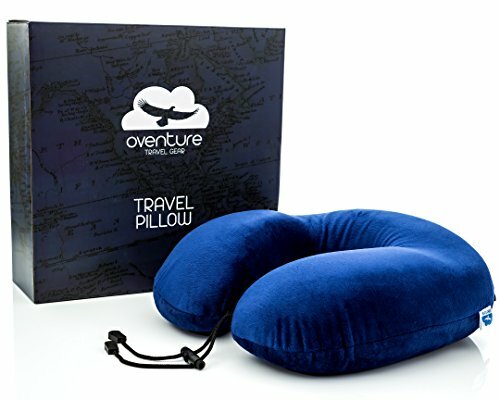 This is the ultimate travel pillow set! It’s another option for someone that wants to buy everything in one shot. 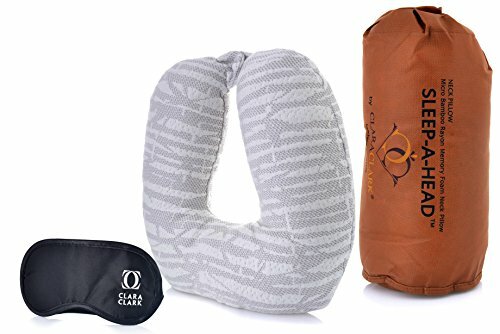 I can’t guarantee you’ll get some shut eye on your next flight but with one of these travel pillows your chances will increase!